An eight-year-old girl was mauled to death by a circus tiger at an amusement park in China. Poor little Juan Niu snuck away from her family to get a closer look and the tiger dragged her through the bars of the cage, Mail Online reports. Juan Niu was visiting family in Chongqing in southwestern China, who took her on an outing to a local amusement park on Friday night. The park had hired travelling circus to entertain their customers. 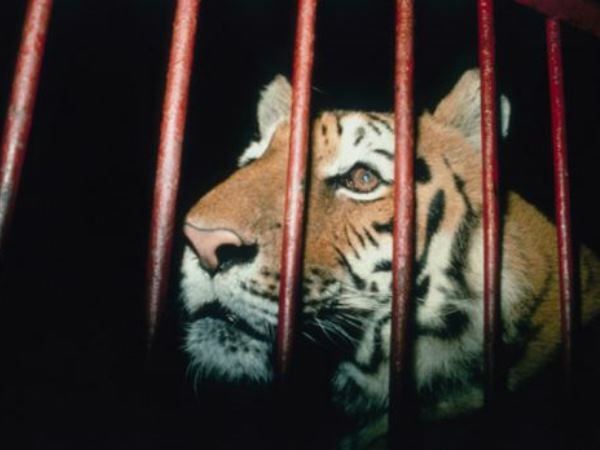 When Juan Niu got too close, the tiger managed to pull her slim frame easily through the bars of its temporary enclosure, and mauled her in front of horrified amusement park guests. The tigers' trainers rushed to save her from the animal but it was too late -- when they pulled her away she was already dying. She was declared dead upon her arrival at a nearby hospital. "Nothing terrible like this has ever happened before and we take the safety of our visitors very seriously," Leheledu Amusement Park spokesman Manchu Hung said. "We will pay all compensation necessary to the family and will make sure it's not possible for anything similar to ever happen again."